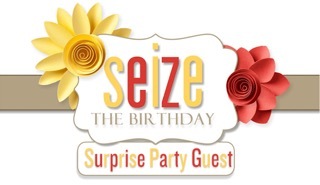 Today I have the honor to be a Surprise Guest Designer at Seize the Birthday again! I am super excited to join this talented group of designers for this challenge: Be sure to come join in the fun, we would love to see your creations! Today I have a fun little gift set I made for a friend of mine. 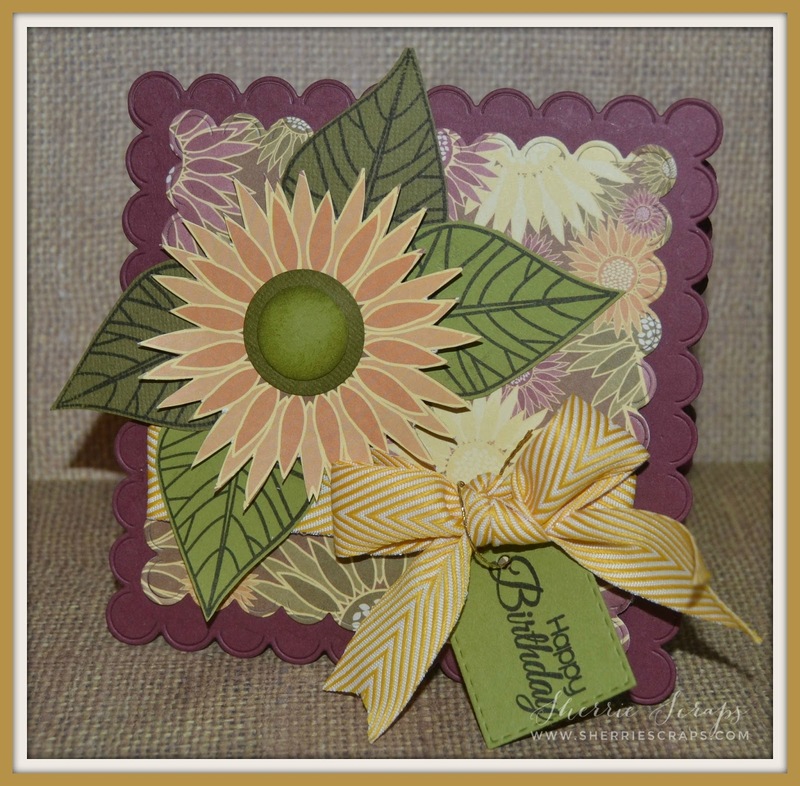 I started with Jaded Blossoms Wine Tag Die and created a pretty flower using foam adhesive for a little dimension, The pattern paper is Heidi Grace Designs which the flower also was fussy cut from. The leaves are stamped with JB Autumn Leaves stamp set and I added a little Wink of Stella for a shimmery look. Mini Tag Dies 2 and the sentiment is stamped with Jaded Blossoms Simple Sayings. I also made a card to match~The card base and layer are made with JB Scallop Square Die and dressed up with the same flower and leaves as the Wine Tag on the soap dispenser. 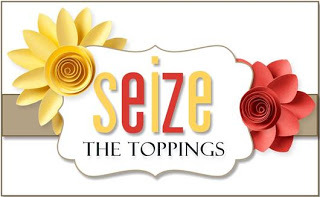 What a great set Sherrie, I love the wine tag and the design, your colors are so pretty. What a gorgeous gift set this is, Sherrie!! I absolutely love the beautiful papers!! The flowers are gorgeous!! You fussy-cut them perfectly!! I would have jagged edges and clipped petals...I'm not great with scissors :) The bows you added are perfect touches!! The recipient will adore these!! Stunning!! Thank you so much for playing along at DL.ART!! And huge congrats again on being guest designer!! Absolutely brilliant set, Sherrie!! Those colors look amazing!! And you have great fussy cutting skills! Sherrie, what a gorgeous card, the colors are fantastic! What a great gift set, something that will definitely be used! so glad you are the guest designer at STB! This is such a fantastic gift set! My two oldest sisters both love sunflowers. The papers you chose are gorgeous! A very pretty set Sherrie - I love dies, congrats on your spot too... Enjoy your happy crafting! Wow! What a Gorgeous set!!! Colours are beautiful! Awesome gift set! The color combination is just gorgeous and I love those pretty flowers, they are stunning! 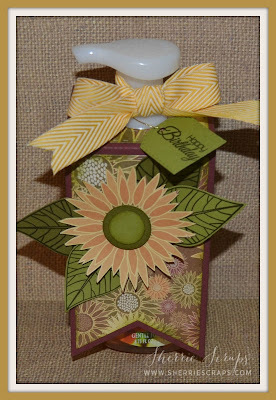 What a pretty sunflower tag and card! Someone is going to be very happy to receive these! What a pretty set Sherrie. Love the sunflowers, leaves and color combo. What a beautiful set, Sherrie!! I love the pretty colors and the sunflowers!! Congrats on you GD Spot!!! Have a great day. This birthday set is so pretty and such a great gift idea. I know your friend loved it too. 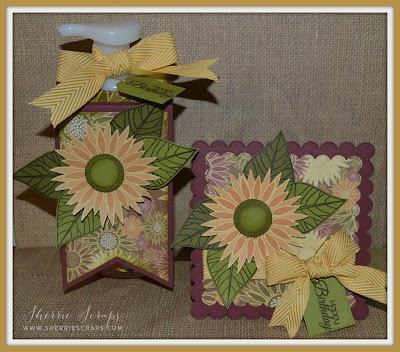 I love sunflowers!Such a beautiful birthday gift set! !Your friend will absolutely love it! Congrats to you my friend!! Gorgeous set SHerrie. Your friend will love it. What a sweet gift set! Great idea to decorate the soap dispenser with the wine tag! Paired with the beautiful card the recipient will love them! Congrats on the GDT! This set is GORGEOUS! I am LOVING the colors, the flowers and the leaves!!!!!!!!!!!!!!!! Congratulations on another amazing GDT project, Sherrie! LOVE your gift set! The sunflowers are beautiful! I love giving those soaps as gifts, and have never thought of making an adorable topper like this one for them. Thanks so much for the ideas and inspiration! Neat set! Loving all the purple. Thanks for joining us at Little Red Wagon. What an adorable gift set! Love the colors and your beautiful sunflowers. What a wonderful set!! How fun to use a wine tag on a soap dispenser too! It works perfectly for a quick little gift! What a gorgeous set, the colors are so pretty! The flower and leaves are gorgeous! Have a great day and hope your weather is okay, we had a terrible storm this morning which is always strange for here, but we had some pretty good thunder and lighting. Great way to use a wine tag, Sherrie! Love that you made a matching card too. What a beautiful gift set. Love the tag and card. 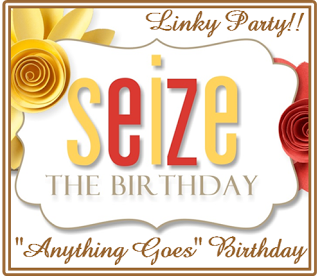 So great to have you joining us at Seize the Birthday.